K.M. Daughters is the award-winning sister writing team of Kathie (Lynch) Clare and Patricia (Lynch) Casiello. 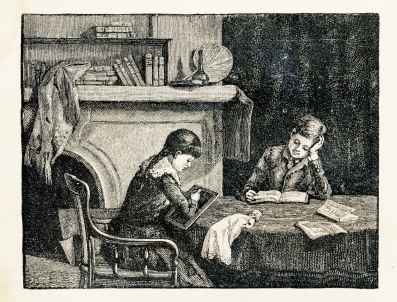 They have recently released three classic children’s story based upon manuscripts left to them by their father, Michael. These were stories their father created for them. They are proudly sharing them with young readers for the first time. 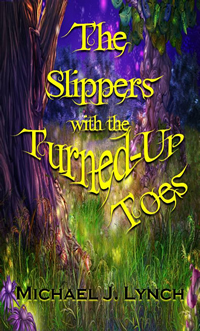 The Slippers With The Turned Up Toes is a classic bedtime or any-time story for children of all ages. Young readers will be enchanted with the characters they’ll meet in this story: the unforgettable leprechaun, Magee, who turns blarney into magic to help a young girl; his adventurous son, Timothy who runs away to join a circus, billed as the shortest man in the world; and Joanne, the sweet girl who finally believes in herself, the most powerful magic of all. In The Twilight Twins, you’ll meet Bonny and Johnny, who visit Patti Woodward one night when, as usual, Patti refuses to go to sleep at bedtime. 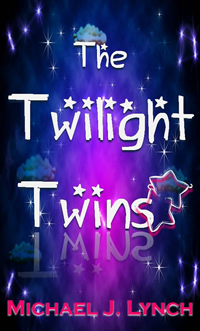 The Twilight Twins take Patti on an unforgettable journey that chases away Patti’s fears of darkness forever. 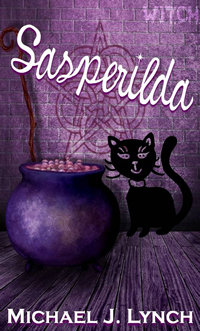 Young readers will delight in the wickedly funny, and forgetful witch, Sasperilda; her unusual sisters, Hilda and Matilda; and their clever cat, George. Sasperilda matches wits with the powerful Great Genie and the ruler of the kingdom of Blarney, King Dennis, while hilariously mixing up the words in her magic spells and brewing up mysterious, exploding brews in her cauldron. Who would believe that the fearsome Sasperilda might help humanity? Michael (Mickey) Lynch was born in Bronx, New York, in 1924. He was the second of four children born to Irish immigrants, Mary and John Lynch. He served with honor as a United States paratrooper during World War II. 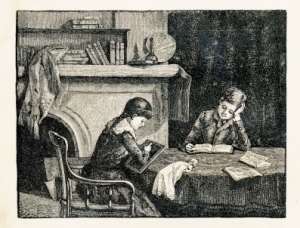 After the war ended, he married his childhood sweetheart, Katherine (Kay) and raised two daughters. He died in 1970 when his children were teenagers. He was a house painter by trade. You can learn more about K.M. Daughters online at http://kmdaughters.com/. Is it possible a month has passed since my last From the Family Bookshelf column appeared? I swear it couldn’t have, but the last one is dated September 21st, so I guess time slipped away from me. All of us have been busy. Swimming lessons and dance lessons have started. Dad has been working like crazy. I have been up to my eyeballs with promoting my first children’s book, Little Shepherd, coordinating book tours, and reading. Not to mention family stuff. Dad finally finished Vince Flynn’s The Third Option. Now he is reading Prince Caspian, which is part of The Chronicles of Narnia series by C.S. Lewis. Though I have seen various movie adaptations of this book and The Lion, the Witch and the Wardrobe, I’ve never read the books. We have the set here, so I’ll have to change that one day. The Lil Diva is back to reading thanks to school. She read Ginger the Stray Kitten by Holly Webb again. She’s also read a couple of books on Justin Bieber and one on the Jonas Brothers. Just think of what she’ll be like in five years if she’s already into teenage pop stars now. She is currently reading Charlotte’s Web by E.B. White. We saw a stage production of Charlotte’s Web while we were in North Carolina. She came home wanting to read the book, but hasn’t gotten around to it until now. The Lil Princess is reading anything and everything. We’re on our second round of Pink Princess Rules the Schoo l by Alyssa Crowne. She has brought home books from her school library every week since it opened. This week she has a nonfiction book about puppies. She’s hoping we buy her Green Princess Saves the Day, also by Crowne. Green is her favorite color. As for me, little ole Mom, I’ve been reading and reading and reading. I just finished Invisible Path by Marilyn Meredith. This is the latest book in her Deputy Tempe Crabtree series. Marilyn is going on a virtual book tour with this book next month. The Lil Princess and I also plowed through a box of books from tiger tales. These books are all part of their Fall/Winter collection. You’ll see review coming for them soon. Last night I polished off the award-winning Call Me Kate by Molly Roe. This is a young adult historical. I began reading Saving Max by Antoinette van Heugten. That’s it for this issue of From the Family Bookshelf. Until next time, keep reading!